The Lutheran Church—Missouri Synod's ministry in Belgium is spearheaded by Rev. 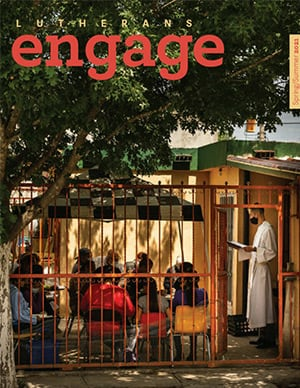 Matthias Tepper, an Alliance missionary who serves through a partnership with the Independent Evangelical Lutheran Church of Germany (SELK) and the Evangelical Lutheran Church in Belgium. Rev. Tepper’s two primary objectives in Belgium are to gather together Lutherans in the area for worship and fellowship and to spread the Gospel among unbelievers so they may come to faith in Jesus Christ. Matthias hopes to help establish and shepherd a vibrant congregation with uplifting worship services and meaningful Bible studies. He prays that he will serve with a team of laypeople in the congregation’s community in the name of Christ, and in doing so, discover new opportunities to share the Good News. 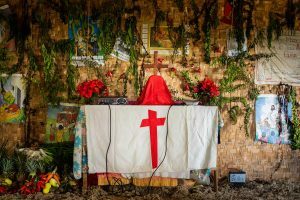 His primary focus is serving the English-speaking community, but he also recently began meeting with immigrants from Madagascar to lead them in Lutheran worship services. Since 1927, the the Evangelical Lutheran Church in Belgium (ELKB) has been a partner church of the LCMS. A partner church is a church body with whom the LCMS has full altar and pulpit fellowship. 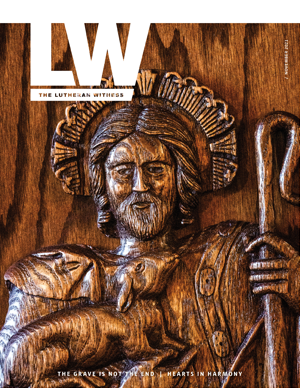 Many LCMS partner churches are also members of the International Lutheran council, a worldwide association of confessional Lutheran church bodies. Some LCMS partner churches came into existence through LCMS-supported mission efforts, while others have historic roots that pre-date the LCMS or that are sourced in the mission efforts of other Lutheran church bodies.